With a max. feed size of 8.4 in. 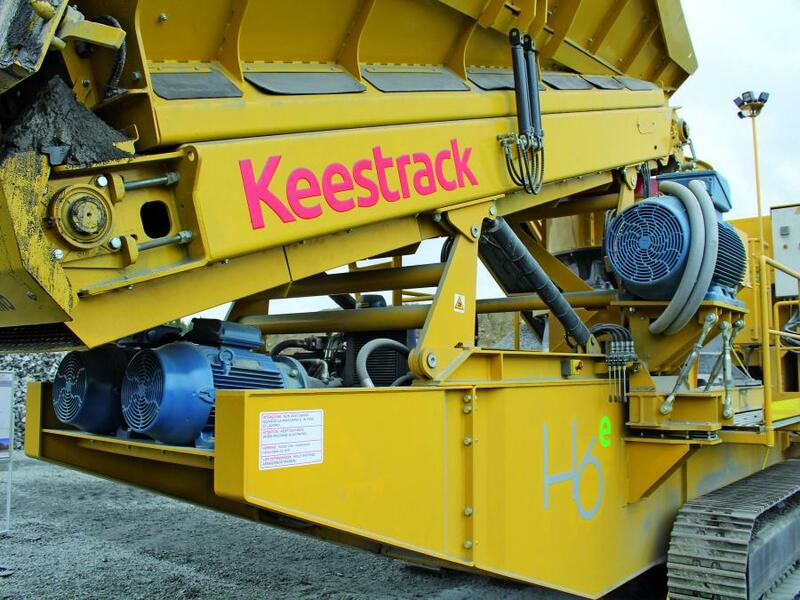 (21.5 cm), the Keestrack H6e track-mounted cone crusher also can be deployed as a highly productive stand-alone solution when equipped with the three-deck post-screen module. In presenting the Keestrack H6e cone crusher, the international specialist in mineral processing technology continues to expand its range of track-mounted machines for the manufacture of high-grade final grain products. Similar to the Keestrack H4e introduced in 2016, the new 68 ton (62 t) fully hybrid machine is based on the market's leading crushing technology together with an innovative diesel-electric drive concept, enabling full flexibility at maximum cost efficiency, according to the manufacturer. Keestrack announced the expansion of the new series at least a year ago, shortly after the successful launch of its fully hybrid H4e cone crusher (approx. 50.7 ton [46.0 t]; max. 275.5 tph [250 t]). 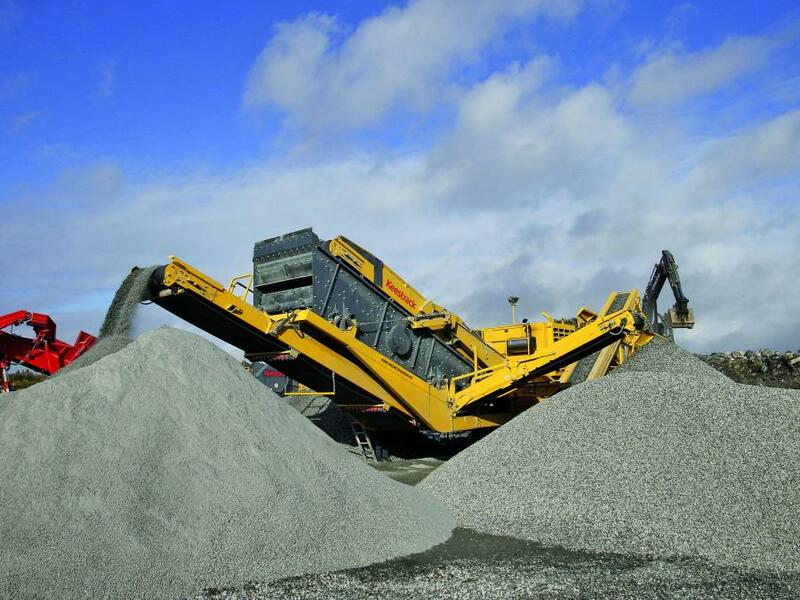 That is now followed by the Keestrack H6e 400 t/h model, which again guarantees a high level of mobility due to its compact design, economic productivity due to efficient transport and screening modules and a broad range of applications due to the proven cone crushing technology of a leading international specialist. A maximum feed size of 8.5 in. (21.5 cm) and very variable crushing chamber configurations and stroke settings enable the Keestrack KT-H6 to offer a wide CSS range from .2 to 1.7 in. (6 to 44 mm), while the drive and control technology have been specially adapted in line with the Keestrack hybrid concept. The crusher is driven by a 220 kW electric motor — the lubrication system, the hydraulic Hydroset control with overload cut-out and the air compression of the crusher housing are powered by separate electric motors/pump units. All crusher functions are incorporated into the central Keestrack PLC controller, which also enables loading personnel in excavators or loaders to operate the machine by means of a remote-control unit. 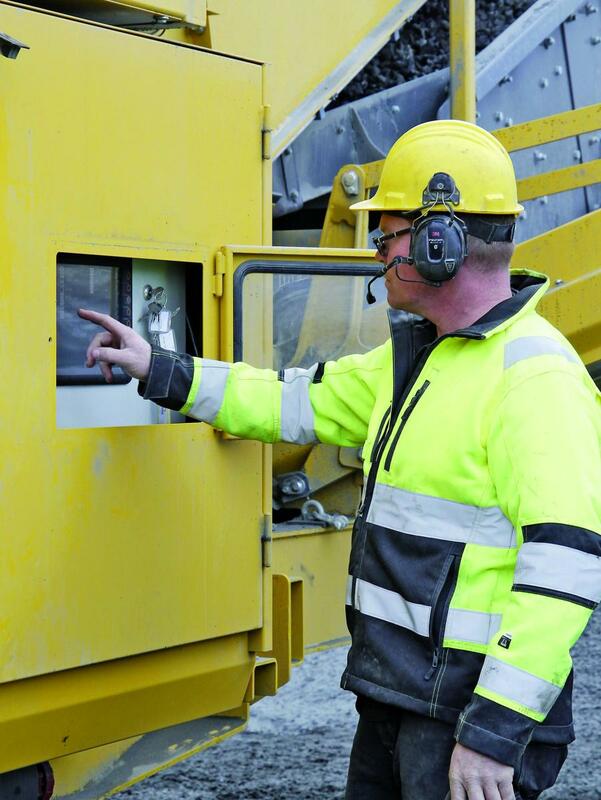 As an option, Keestrack-er satellite-based telemonitoring documents all the key performance data of the crusher in real-time, alerts the operator to any malfunctions and collects the current production data if a belt-scale is installed (optional). A 345 kW Volvo diesel engine (EU IV) with a connected 500 kVA generator supplies the onboard energy. The entire drive unit is designed as a removable module, as now is the case for the smaller H4e machine: Located remotely from the crushing plant, dust and vibration levels can be clearly reduced, maintenance access can be facilitated and hence the availability and service life of the drive unit can be clearly optimized. All the crusher operating functions remain active, including the 63A connector for add-on screening units or stockpile conveyors. The Keestrack H6e also offers plug-in power supply from the mains or additional generator as a standard, making it possible to reduce direct energy costs by up to 70 percent, according to the manufacturer. 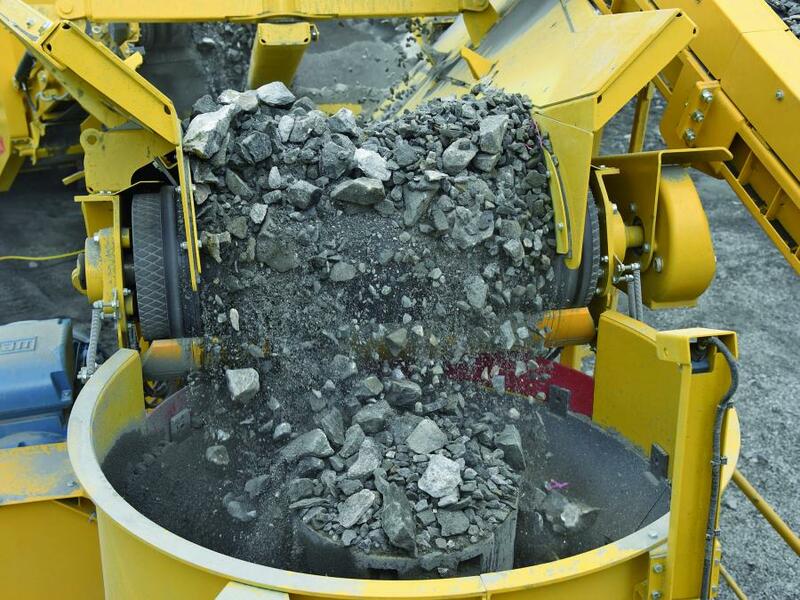 The size and capacity of all charging and discharging equipment are geared to the high capacities of the aggregate crusher and, like the track drive, hydraulic cylinders and other hydraulic components (motor/engine fans) are powered via the load-sensing operating hydraulics by two 30 kW electric motors. Due to the lower number of consumers of the Keestrack hybrid concept, new cyclone extraction technology and the generally good cooling characteristics of the largely steel piped hydraulic system, the operating-cost-sensitive volume of hydraulic fluid could be reduced to 31.7 gal (120 L). A 47 in. (120 cm) wide hydraulically driven belt feeder with integrated metal detector feeds material from the 10.5 cu. yd. (8 cu m) hopper (optionally 15.7 cu. yd. [12 cu m]) with load-release device for the equal distribution of the feedstock (max. 441 tph [400 t]). The main discharge conveyor has an 11 kW electric drive motor and reaches a drop/transfer height of 189 in. (480 cm), offering a stockpiling capacity of 386 ton (350 t) without post-screening. With a total screening area of 29 sq. yd. (24.5 sq m) over three decks, the optional H6e post-screen module also guarantees high production rates including oversize material recycling. The screen box has a sensor-monitored hydraulic drive, with all belts powered by maintenance-friendly electric drum drives. Providing large stockpiling capacity during operation, the discharge conveyors for transport can be fully retracted hydraulically for transport beneath 118 in. (300 cm) overall width. 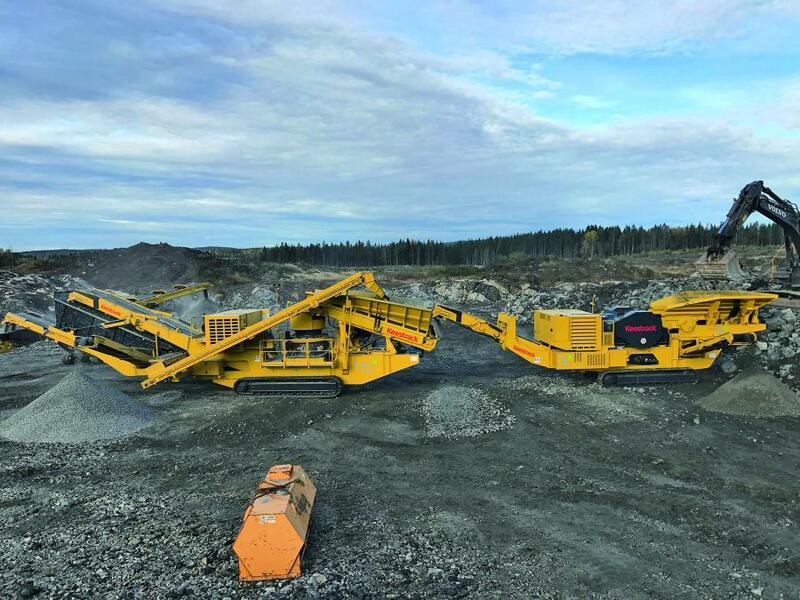 During its world premiere at the Keestrack Innotech Demodays 2017 held in Spydeberg, Norway, in mid-October, the Keestrack H6e was demonstrated over several days in a granite quarry. 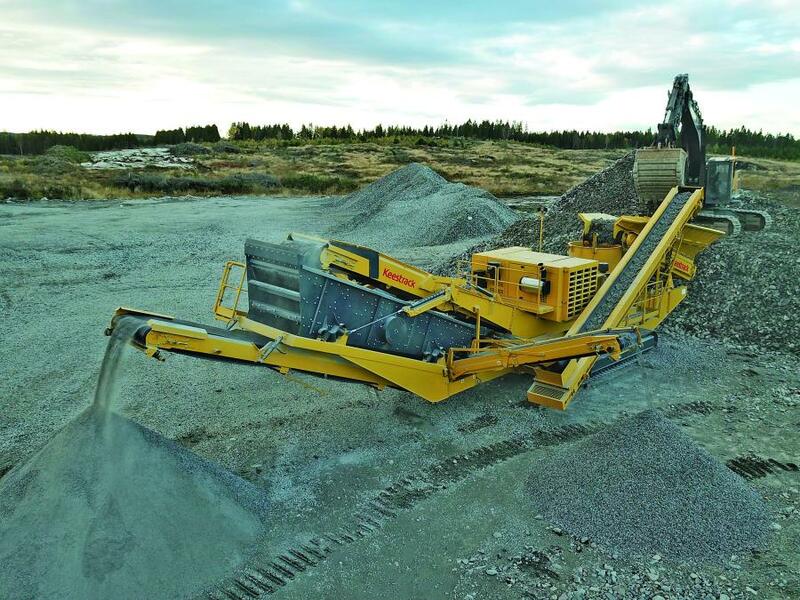 Loaded directly with coarse aggregate and working in-line after a Keestrack B4e jaw crusher, the unit demonstrated its value as an efficient stand-alone production machine and as a high-capacity secondary crusher for high-grade, precisely defined final grains. While operating secondarily, the Keestrack H6e produced up to 220 tph (200 t) of final grains the size of 0/8; 8/16; 16/22 mm. The feed material for the machine combination was Granit 0/700 — the overall throughput of pre-crushed 0/150(X) mm of the H6e was approx. 264 tph (240 t) in closed circuit. The new large cone consumed an average 11.8 gal (45 L) per hour in diesel-electric operating mode. The track-mounted jaw crusher Keestrack B4e with a new, detachable power-supply module (235 kW Volvo diesel engine [EU4] / 225 kVA generator) for the 110 kW electric motor of the crusher and the electrical 55 kW drive of the operating hydraulics also was presented at Spydeberg. During the few months it has been on the market, the hybrid version of the successful model B4 (formerly Apollo) enables all-electric operations from the mains, thereby presenting a highly economical alternative for semi-stationary deployment to recycling companies, large construction sites or quarries. The machine with a double-deck vibrating pre-screen unit and proven 43 by 27.5 in. (110 by 70 cm) jaw crusher (max. feed size 23.6 in. [60 cm]) reaches hourly outputs of up to 330 ton (300 t) and can optionally be equipped with a single-deck post screening unit. 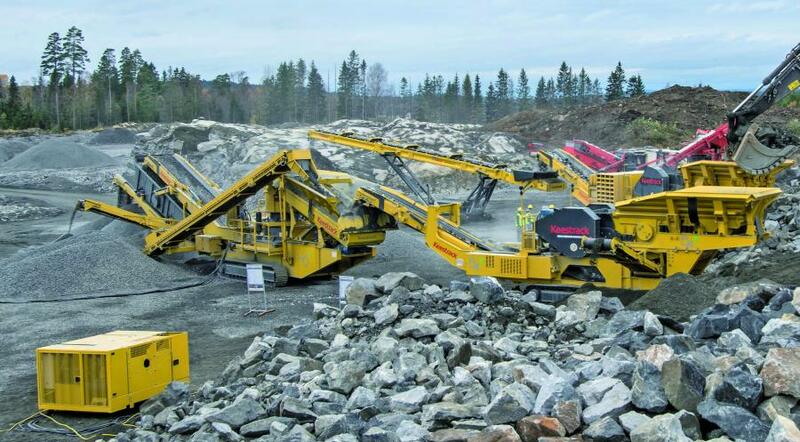 Full hybrid Keestrack H6e cone crusher and B4e jaw crusher from Keestrack on Vimeo. For more information, visit www.keestrack.com.